What is Forest of Dean parkrun? 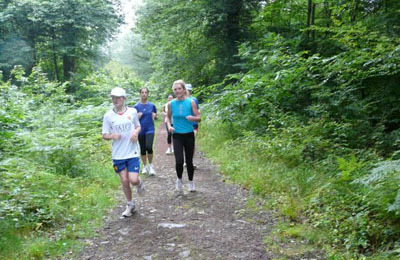 It's run in The Forest of Dean at Coverham Enclosure Five Acres. See Course page for more details. Forest of Dean parkrun needs you! It is entirely organised by volunteers - email forest-of-deanhelpers@parkrun.com to help. Every week grab a post run tea or coffee in the Finish Area. In bad weather we go to the Forest of Dean Athletic Club clubhouse on the opposite side of the main road. Please come and join us.